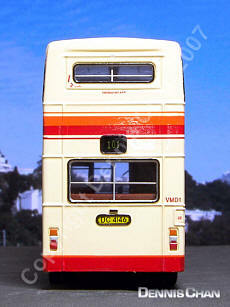 The model - this resin model was specially commissioned by Concorde Hobby Shop. 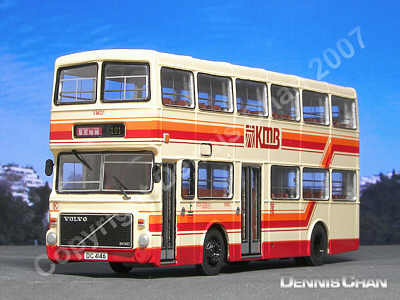 Produced by P & T Model, it was released on 5th October 2007. 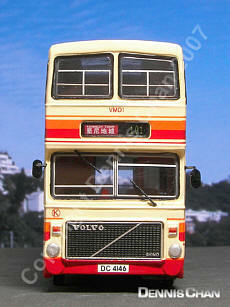 There are two versions, each limited to 275 pieces, one with a destination of Kennedy Town and the other Kwun Tong. 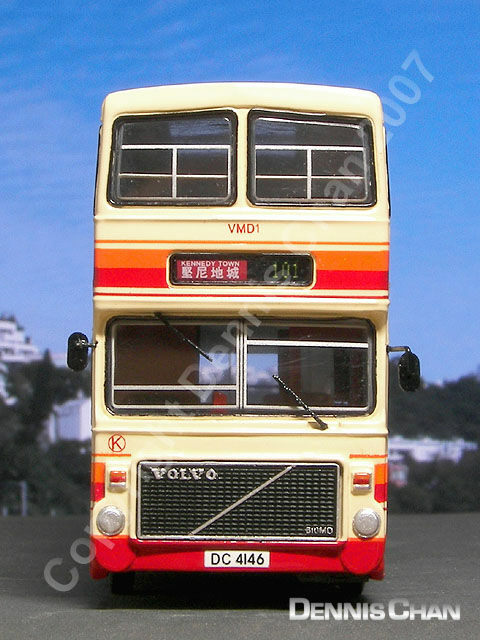 The bus - Kowloon Motor Bus took delivery of a single Volvo Citybus, as it was known outside of Hong Kong, in July 1984 for evaluation purposes. 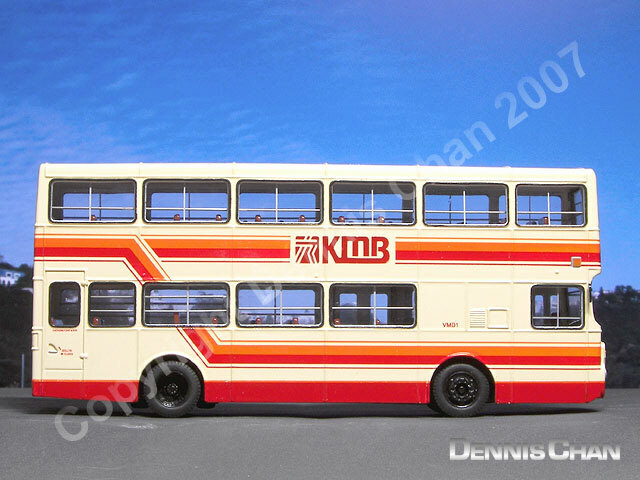 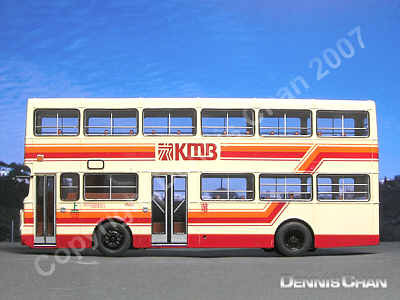 The Citybus name was dropped at the request of KMB, for reasons to do with a certain new competitor at the time! 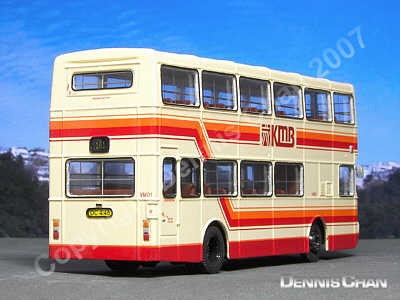 It carried the distinctive livery of red and orange stripes on cream. 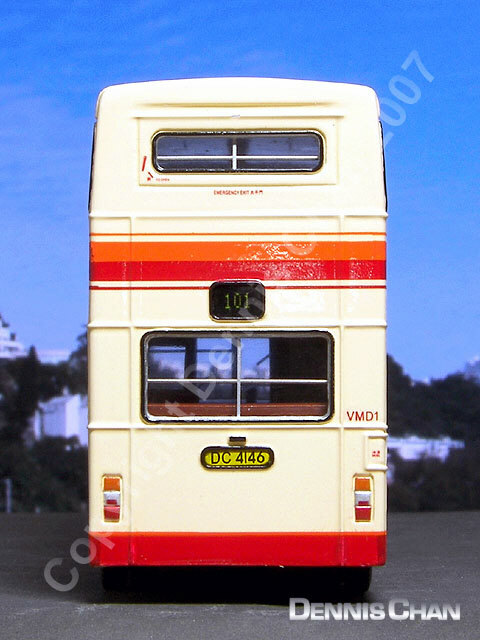 It was eventually purchased by KMB but was written off in Februray 1988 when it suffered a fire whilst in the crooss-harbour tunnel.